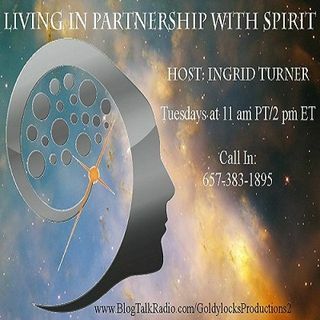 Ingrid Turner is a Spiritual Medium, Spiritual Coach, and Diviner. She connects with loved ones, spirit guides, spiritual energies, and the higher self to help her clients heal, connect with their authentic spiritual path, and live in their power. She also runs coaching programs for individuals and groups, where she helps outside-the-box seekers connect with Spirit directly, and build their own spiritual structures. Wendy Buckingham has experienced many things in her life and believes that everything happens for a reason. Instead of staying in victim mode, she has chosen to see the positive in what she has gone through and is now able to help others overcome their personal obstacles. Anna Kowalska is a Psychic Muse. She has an insatiable appetite for showing people how to feed that hunger that keeps them awake at night. She uses creativity and deep intuitive gifts to guide her clients while they recreate their lives with purpose (always with love and money as part of the conversation). She is a master in several modalities which serve as tools in changing beliefs, shifting mindsets and molding reality. Dance and Creativity are the language we use to communicate with the Spirit/Divine. In her spare time, Anna continues to deepen her education, spiritual practice and play with performance art. She also likes to hike the beautiful Rockies with her little four legged bestie, Mikey.